Home » Alternative Medicine » Fight the colds in a matter of minutes! Amazing method is a completely free! Fight the colds in a matter of minutes! Amazing method is a completely free! 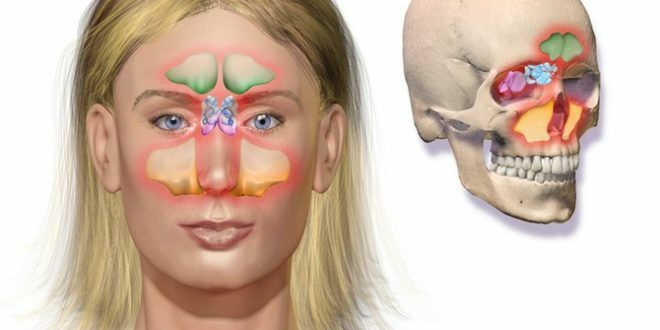 Rhinitis, sinusitis – something very unpleasant and often painful. Starting from the constant pressure in the head and ending with the constant sniffle, sore throat and fever, the disease is able to unsettle everyone. If you or someone close have a symptoms, do not rush to run to the drugstore! Try one of these effective and completely natural ways! Option A: Pressing the eyebrows. If nasal congestion is harassing you, here it is the easiest way for quick relief: Simply press with your fingers the two eyebrows with equally authentic. Start from the edges of the eyebrows, leaning forward and relax your head on your hands (it is easier to lean elbows on a flat surface). When you feel that the pressure is lowered, move to the middle of the eyebrows. Press again until you feel the tension goes away, then go to the ends of the eyebrows. Once you reach the end point, make a circular motion with your fingers. This procedure will help you to clear a blocked nose in seconds! Not only, that mini-massage excellently relieves stress; dot acupressure massage even unclogs blocked nose! Repeatedly press the ledge (rounded part) of the nose with a finger – this will speed up running down nose secretions. Then you will feel how your ears are clean and open! The second method is to use a mini-massage – folded your hands in the shape of the letter V and massage the neck from both sides. This stimulates the release of the lymph in the body and thus clears the blocked nose! Option C: Activate the language. You can combine both methods to clean the nose with fingers and tongue! As much as possible strongly push the tongue against the palate and at the same time, press your finger on the point between the eyebrows. Do not weaken pressure for 15-20 seconds to stimulate the secretion of nasal mucus. If that does not work, try pressing consistently palate and the point between the eyebrows for 10 seconds!